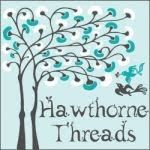 Chasing Cottons: Giveaway DAY!! $50 Pink Chalk Fabric Voucher and ANY 4 Chasing Cottons Quilt Patterns!! Giveaway DAY!! $50 Pink Chalk Fabric Voucher and ANY 4 Chasing Cottons Quilt Patterns!! How to enter.... Just leave a comment telling me your Favourite Chasing Cottons Pattern!! The Giveaway will stay open until 17th December... i will choose a winner by Random.org! That's a hard one! I think Star Jewels is the most beautiful, Sand Castles is best use of a particular fabric & Birds of Paradise is totally cool!That said-they are all my favorites! I find it hard to choose but seeing as this is Christmas time and I love CHRISTMAS!!! I have to go with 'Curlicue Crush' as it kind of reminds me of Christmas decorations! All are beautiful! I love the Rolling Meadows pattern. Awesome giveaway. Thank you! Great idea for the giveaway! Birds of Paradise is my favorite - it's also a favorite flower! Thanks for a great giveaway and congrats on your success! Curlicue and Bird of Paradise! Thanks for the opportunity of fabulous pressies! Have a very merry Christmas! It would have to be Curlicue Crush. 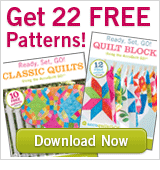 I am going to make so many quilts from that pattern. Thank you for the great giveway. I love your star jewels pattern but the one that fascinates me the most would be the Curlicue Crush pattern. It is amazing! I like Star Jewels and Eden's Garden. Thanks for a great giveaway! love all of your patterns, but if i must pick a favourite, it's 'Curlicue Crush'! thanks so much for the giveaway! This is definitely hard because everything you make is beautiful! I love the creativity in Sand Castles! Thank you for this giveaway! It's very generous! i love, love, love your Curlicue Crush! Sand Castles is too cute also, i would have to make that one for my daughter! I like Sand Castles and Diamond Bouquet. I'm a Rolling Meadows kind of girl. Thanks for the chance! I love Eden's garden! Beautiful! They are all great, but Curlicue Crush is so different from anything else out there. It would be beautiful made up in so many different fabric lines. Thanks for the opportunity! Star Jewels is gorgeous - thanks for the chance! Sand Castles is definitely my favorite! Thanks for the chance to win Pink Chalk fabrics to make this great pattern. Eden's Garden by far is my favourite of your patterns! In fact, I put it on my christmas list for the hubby. Rebecca, thank you for the chance to win! I love the Sand Castles and the Birds of Paradise patterns! Also loved your basting tutorial--really helpful for a beginner like me! Curlicue Crush! It is teh fabulous! 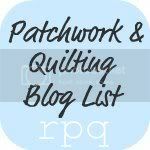 I slobbered all over my computer screen when I saw it at the Blogger's Quilt Festival! It is very hard to choose as they are all great patterns, probably my facourite is Diamond Bouquet as it is a great way to feature beautiful prints. I also love your new pattern Eden's Garden. Thanks for the opportunity for the giveaway and congratulations on producing such beautiful patterns. Tough decision... I'd have to say my favorite would have to be Eden's Garden or Birds of Paradise. But they are all gorgeous! Oh wow! Seriously too hard to choose because I simply love ALL of your patterns! I'm going to say Sandcastles because it's so unique and fun and it would be super fun to make a beach blanket from that pattern!!! Rolling Meadows and Curlicue Crush are fab, too... oooh and Diamond Bouquet... hmmm... so many great options to choose from!!! ooo Sand Castle is amazing. Beautiful. Thanks for the chance to win. Ohhh, I love all yoru patterns, and have a personal first place tie between the castle pattern and your newest curlicue crush! I hope I win! Stop by my blog later- I will be hosting a giveaway as well! They are all beautiful but I just love Sand Castles and can picture it on my little boy's bed. love Eden's Garden also! I can't pick just one. Sorry. but when I say "Curlicue Crush," it always makes me smile. It's hard to pick, but I love Star Jewels. Eden's Garden is beautiful, too, and would make a beautiful center piece for a little girls room! My favorite pattern is Curlicue Crush. I just love how you said it looks like old fashioned Christmas ornaments. I want to make a version in Christmas colors so bad! They are all lovely, but that curlicue crush is FANTASTIC! Well I have to say Sand Castles because that's how I found your lovely blog! What a wonderful giveaway!! I really can't decide between Curlicue Crush and Sand Castles...it would be mean to make me! Well my favourite would have to be Eden's garden even though its not out yet!!!!! I'm working on a Rolling Meadows quilt for my sister right now :) And I LOVE the Star Jewels pattern ~ that would look great on my bed! Oh, excellent! I thin Eden's Garden is my (new) favorite! I love the sand castles quilt. I think it is a beautiful quilt and I wish I was brave enough to tackle it one of these days. Thanks for the awesome giveaway!! My favorite pattern is Curlicue Crush, I bought a kit to make a quilt for my mum, the fabrics are very her but I am not so keen on the pattern, but I think the fabrics would look great made up in this pattern! Great giveaway! I love the Sand Castles, it's been on my to do list since I very first saw it! My favorite is Curlicue Crush! Just a beautiful flow to the entire quilt! Well what can I say... I LOVE them all... Eden's Garden, Curlicue Crush and Sand Castles did pop out at me. Fab & generous giveaway. I would really like to make a sand castles quilt and wonder what it would look like in other fabrics however I doon't have a girl and as it doesn't have wheels my son probably wouldn't like it (lol). I love all the gorgeous fabrics in your Diamond Bouquet quilt and am positive my stash could quite easily accomodate that one. Wow - thanks for hosting such a generous giveaway! It's hard to choose just 1 of your patterns, but I'd have to say 'Curlicue Crush' is my favourite. Wow what an amazing giveaway. I love all your patterns...so hard to decide....ok Curlicue Crush. Thank you for sharing...Wishing you a happy and safe Christmas. Birds of Paradise please. Thank you for sharing. Sand castles and your coming pattern Eden's garden. The first would be great for the boys, the last one for me ;) Thank for this giveaway! Sand Castles hands down for pure little girl deliciousness :) But if I had to pick a second, I must say I really like the look of Eden's garden! Love 'Birds Of Paradise' ! Thanks for the giveaway! Sand Castles! My little nephews would love it. my favourite is star jewels! Awesome giveaway! I think the sandcastle is my favorite! I love the Curlicue! I have seen the Diamond Bouquet before, I think, on Amylouwho! Wow, what a generous giveaway! I was wondering, I am a beginner quilter (finished my first quilt in October), which of your patterns would be good for someone like me? They are all so beautiful and I would love to try one! Star jewels is just lovely! Thank you for hosting a lovely giveaway! You can find me through krbucha @ gmail dot com.. Birds of Paradise is my favorite! Thanks for the chance! I love curlicue crush. Star Jewels is a close second. Wowza! Awesome quilts!! I'm really drawn to your Curlicue Crush. So unique! I've been admiring Sand Castles for ages now, but I think my favourite is Eden's Garden. So pretty yet geometrical. Just beautiful. What a lovely giveaway! Fabulous quilts! I just love the rolling meadow quilt. Curlique is my favourite. What a really generous giveaway! Curlique is my favourite, is it hard to do? That new pattern, eden's garden looks pretty awesome too. I love the Sand Castles pattern. It's so romantic and sweet! I love Birds of Paradise and Diamond Bouquet! Do I have to pick just one? I love Curlicue Crush and Eden's Garden. Beautiful! TOUGH CHOICE! They are all gorgeous!! I would have to go with Sand Castles I think - because my girls would just die of excitement if I made them that one. Curlicue Crush is definitely my favorite! I love Star Jewels & Curlicue Crush! It would be hard to pick a favorite but I love the curlicue crush and the sandcastles. So hard to choose, but I adore the Sand Castle pattern. Thanks so much for such a great giveaway! my favourite pattern in rolling meadows--perfect for a beginner like me! Nice giveaway! I love the curlicue crush! Wow! I've been a fan since the Sandcastles quilt, so I'd have to call that my favorite. Well, geez! How do you pick just one?! I love Sandcastle and I'd like to do that one for my daughter but I also ADORE Curlicue Crush!!! So so much! I love the Sand Castles Quilt. That would be so perfect for a little girl! Wow, I like them all. But I would have to pick either Curlique Crush or the diamond one. And I like the sand castles....its hard to pick a favorite. Fabulous giveaway!! I like curlicue crush the best, but the others are so lovely as well. Thanks a bunch! Wow I love ALL of them.... I have been wanting to attempt a quilt. :) I think the Star Jewels if my favorite favorite. I love the rolling meadows! umm, all of them?! Sand castles would eb fun for my daughter but I love curlique!! what a generous giveaway, thanks for the chance! Rolling Meadows is amazing! What an awesome giveaway!!!!! That curlique Crush pattern is spectacular! thanks! Star Jewels! It was hard to choose a favorite though. They are all amazing. And Pink Chalk? One of my favorite places. Thanks for offering such a generous giveaway. Thanks for a chance at winning. I really like your star jewels patterns. Merry Christmas! I love the Sand Castles. I have seen them before and loved them then and love them now!! Hello:D Thank for the chance to win. Your patterns are lovely, I especially like the curlicue crush! Cheers, and Merry Christmas! curlicue crush is my favorite! great patterns. I love the upcoming one - Eden's Garden! So pretty! Lovely giveaway! Oh, now that's a hard one Bec! It's a toss-up between Sand Castles and Curlicue Crush! Thanks for the giveaway - my favourite is Birds of Paradise. oooh I love curlique crush!!! Thanks for a chance to win!!! Love the Sand Castle quilt! Thanks! ooo 'Rolling Meadows' is just perfect! I would love to try to make it! Wow, curlicue crush is pretty awesome! Thanks for the giveaway! Sand Castles because I have loved castle peeps since it came out...what a wonderful way to use the fabric!! What an amazing giveaway!! Diamond Bouquet or Curlicue Garden. Both are lovely! Thanks for the giveaway! It would have to be Curlicue Crush. That pattern is wonderful. Rolling meadows is my fav! You want me to pick just one? HOW? They're all so inspirational! Ok, ok. Diamond Bouquet. It has such drama and impact--and I have a LOVE FQ bundle that may just have to find itself in that pattern! Curlique crush...but sand castles is a close second. Oh! I want sand castles AND curlicue crush (I can pick two right?! no? ok...) I think I want curlicue crush the most! Gorgeous! Star jewels! Or maybe curlicue crush. It's hard! What an awesome bunch of patterns! They're all so pretty! I think I like the simplicity of the diamonds right now but it's hard to choose a favorite! Thanks for the chance at the goodies! Star Jewels followed closely by Curliecue Crush! All patterns and quilts are spectacular, but I am most drawn to "Star Jewels!" Thanks for participating in Giveaway Day! The rolling hills quilt is GORGEOUS!!! The Curlicue Crush and Rolling Meadows are my favorite... I can't pick just one!! Thank you for this giveaway! Definitely Birds of Paradise, although Sand Castles are gorgeous as well...hard to pick one. Wow this is a great giveaway! I like star jewels pattern! I love the diamond bouquet pattern! I would have to vote on Curlicue Crush! They are all so beautiful! I love Star Jewels! It looks awesome. Thanks for hosing a giveaway. The Curlicue Crush is beautiful! I love them all but I would have to say the Sand Castles. My daughter would get such a kick out of that. Thanks so much for the chance to win! I LOVE THE Curlicue Crush QUILT! I like Rolling Meadows. Actually I LOVE Curlicue Crush, but I'm pretty sure I couldn't pull that one off! Goodness! I love the soft lines of Curlicue Crush, but I also love how you've utilized fabric designs in Sand Castle and Birds of Paradise. Thanks for the fantastic and generous giveaway! You have so many great ones but if I had to choose I'd go with sand castles... gorgeous! Thanks for the chance to win. A difficult choice, but I think my favorite is Curlicue Crush! I love "Diamond Bouquet" I love the clean geometric shapes contrasted by the colorful, feminine florals. Thanks for the giveaway. My favourite is Curlicue Crush! Definitely the Sand Castles. I live on a beach and I think this is just such a neat idea. My favorite is Diamond Bouquet. Favorite pattern - Diamond Bouquet - but they're all lovely!! the new Eden's Garden, wanna make that one soon. Definitely Eden's Garden or Curlicue Crush! I love Sand Castles. It's very whimsical and that appeals to me. Wow -- what a generous giveaway!! My favorite is Curlicue Crush -- but that was a hard decision--they are all just gorgeous. I love the Eden's Garden quilt, but Sand Castles would be adorable for a kid's room. If only I had a kid, or a niece or nephew to make it for! but a very close 2nd would be Bird of Paradise as it offers such creative use of fabric you can hardly bear to cut into at all! Thank you for the give-a-way and now off to view your shop and more of the blog! What a great giveaway. I LOVE the Sand Castle pattern. I really love the curlycue crush pattern. But all your patterns and the fabric choices are wonderful! My favorite is "Sand Castles", but it's hard to choose! I have to say that curlicue crush is my favorite, but sand castles is a very, very close second. Thanks for a lovely giveaway! I really like the rolling meadows. Very pretty.Thanks for being part of the giveaway! Diamond Bouquet is gorgeous! It reminds of me an exquisite Persian rug! I'd have to say Curlicue Crush even if curves in general frighten me. I adore Curlicue Crush. Pretty, pretty! My favorite would be the Sand Castles - very cute! Thant's easy 'Curlicue Crush' everytime i see it I can't take my eyes off of it. The Sand Castles pattern is adorable! Thanks for the opportunity to enter your giveaway!! birds of paradise is my favorite...never know what to do with some of those wonderful fabrics! all your patterns are great...sand castles is a big favorite too! thanks for the generous giveaway! Oh my, what a FANTASTIC give away! All of your patterns are wonderful and it's hard to choose, but I really like Eden's Garden and Star Jewels. I would definitely choose those two if I won! Thank you so much for the opportunity! I really like the Star Jewels pattern! I love the sand castle quilt, thanks for the giveaway! Great giveaway! I love the Cirlicue Crush pattern! How fabulous are you:!:! It's tough to choose a favorite, but I'm going to have to go with Curlicue Crush. Just fabulous! And I love Pat Bravo's fabrics! I'll be back! My favorite is Sand Castle, makes me wish I was at the beach! Curlicue Crush is my absolute favourite. I want to have that big enough to go on my bed! Maybe it is the colors but that one calls my name. They're all so pretty - I think I like the diamond bouquet the best! Curlicue crush is adorable! I love it. Well ... if you really made me choose I would have to go for 'Curlique Crush'. The sweep of those curves is fabulous. Fabric and patterns? Wonderful! Love your now Eden's Garden! Wow, what an awesome giveaway! And your patterns are so great! I love them! I think my favorite is Sand Castle! Its awesome!